The DP4x01E and DM4x01E have a built-in Wi-Fi interface that allows Over-the-Air Programming via IEEE 802.11 b/g/n wireless LAN. With this feature, you can now push firmware updates voice announcement files and splash screen images without having to connect to the radio and at speeds faster than USB 2.0 and OTAP. For this, you will need Radio Management 2.0 and each radio will need the WiFi CfS (Charge for Licence). 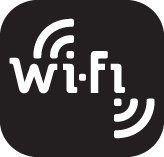 The RM Device Programmer needs to be connected to the same IP network as the WiFi Access Points and the radios need to be able to connect to WiFi when in range. The RM Client and RM Server can still be located remotely – for example at your office or home. Is it possible to have a recurrent update of the codeplug file every nigth by wifi only with rm2? Ensuring updated radios? Yes it is. All that is needed is to make the changes and schedule an update.